At some point or the other, if you're traveller you must have had wished for a world without borders, right? This is probably due to those endless bunch of papers you had to aggregate before appearing for an edgy visa interview, or the long unforgiving queue you had to endure before an immigration counter. Frankly, we are too damaged beyond repair to be set free with friendlier international regulations. We completely deserve to be monitored, chained and muted as and when required. This has nothing to do with the corrupt Government, and trust me I'm not being sarcastic. The darkness deep inside our minds is ever expanding. I guess today's topic is pretty elementary and has nothing to do with the erosion of humanity. Those of you who do not know this tropical paradise- Sri Lanka beyond a teardrop shaped island barely visible in the world map, will be amazed to learn the rich diversity this country offers to its tourists. Sri Lanka is blessed with her pristine natural bounty, highly interesting geography, inviting sunny beaches and myriad wildlife. To top it all, Sri Lanka is the home to an ancient Buddhist culture that dates back to 2,500 years! In my coming blog post I'll give you seven unbeatable reasons why you should choose Sri Lanka over any other country as your next backpacking destination. We Indian passport holders are seldom obliged with easy visas. Don't know if we just smell bad, or our passport documents carry Tuberculosis infection in them. Thankfully, getting a Sri Lankan tourist visa is very simple for Indian nationals. I've travelled twice to Colombo in last four months. Ten minutes of easy online formalities can guarantee your tourist e-Visa for Sri Lanka. Neither do you need any agent's assistance, nor queue up for the visa on arrival. Log onto the official ETA portal directly and "Apply for an Individual" tourist visa yourself. Let me start with a short briefing on Sri Lankan tourist visa. Sri Lankan e-Visa, or ETA (Electronic Travel Authorisation) is the official authorisation for a short visit to Sri Lanka. Good thing is one can apply as well as procure an ETA completely online, by paying a prefixed visa fee. Presently the ETA processing fee (colourful name for the visa fee) for Indian nationals is 20 USD. This ETA shall act as a tourist visa with double entry for 30 days. 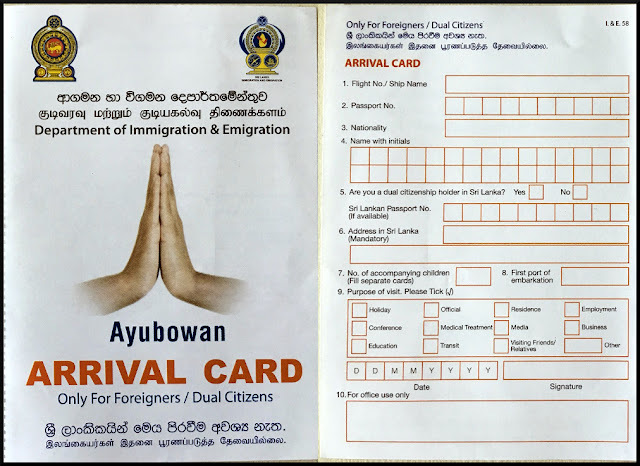 Upon arrival at the port of entry (In most of the cases- Bandaranaike International Airport, Colombo), the traveller is expected to produce the passport to the immigration officer to obtain the necessary clearance. ETA holders are issued a 30 day short visit visa at the port of entry in Sri Lanka. 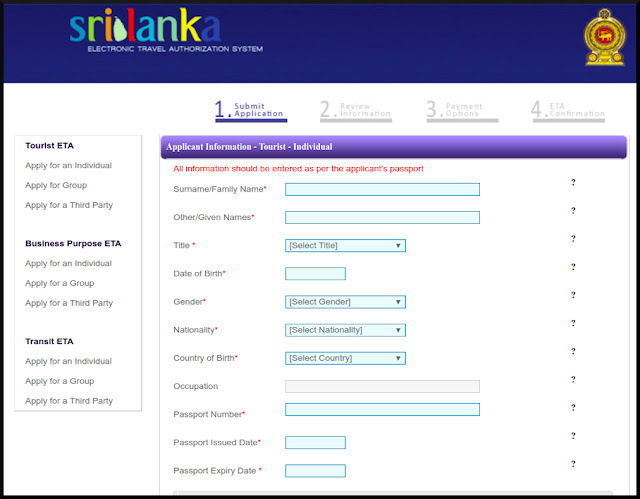 Although a Sri Lankan ETA can be submitted by several modes, if you're a backpacker I would expect you to log onto the official ETA portal directly and "Apply for an Individual" tourist visa yourself. - Your passport with validity of at least 6 months from the date of entry to Sri Lanka. - A credit card. It need not necessarily be in your name. - A Sri Lankan address. Use your hotel address if you don't have a better one. Nobody cares. King Coconut, a speciality of Sri Lanka. It is sweeter than the Indian variety we get here. - Click on 'Apply' option. - Read the terms and conditions page and click on "I Agree" option at the bottom. - Select and Click the option "Apply for an Individual"
- Start filling the simple form. - There's one field which asks your intended arrival date. You may put an estimated date. - Submit and review your entered details. - Pay the visa fee through a credit card. Currently it is 20 USD for SAARC nationals. - A letter of ETA acknowledgement will be sent to your provided e-mail ID instantly. - Wait patiently for your ETA approval mail from the Department of Immigration and Emigration, Sri Lanka. If your supplied details weren't fishy you can even get an approved ETA within 24 hours. Keep a printout of the same in your travel document holder. 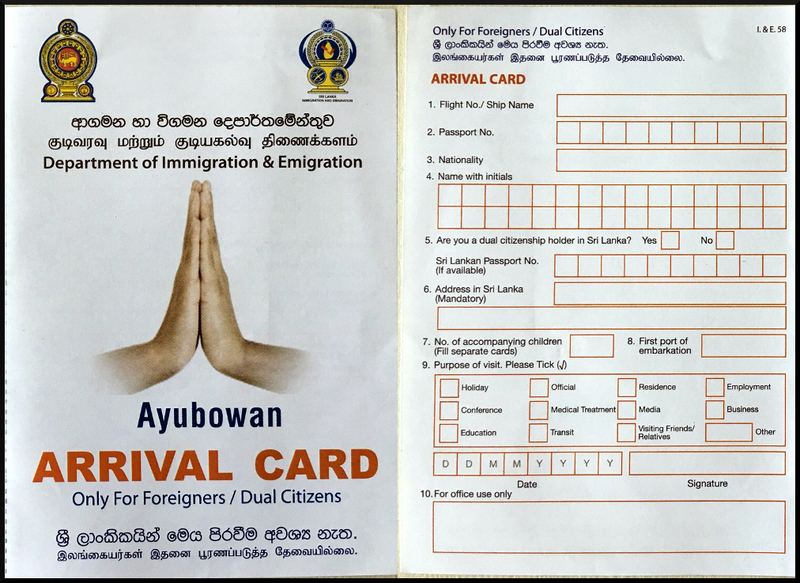 Fill up the Arrival Card in English block capital letters before approaching the immigration desk. - In case you fail to apply for a Sri Lankan ETA, don't lose heart. Indians can easily procure a visa on arrival at the port of entry. It'll consume your little energy and cost you slightly more (right now 25 USD). - Your ETA is valid for 30 days only and permits double entry, within 30 days from your initial arrival. The ETA itself is valid up to 3 months from the date of issue. - Be extra cautious while filling your details accurately in ETA application form. Nothing much to worry though. In case of any unintentional mistake (provided it comes under the radar of the immigration officer) you'll be requested to pay again at the port of entry and obtain a fresh ETA. - You'll have to produce your passport (with validity of at least 6 months), return air ticket and a filled up Arrival Card (which you'll get in the airport itself) to the immigration officer. Nobody will ask to show you any proof of sufficient funds. Mostly they are less nosier than our Indian counterparts and won't bother you with any question other than your purpose of visit. You're done my friend. - If you stay beyond 30 days, please report to the Visa Section, of the Department of Immigration and Emigration, Colombo, Sri Lanka. That's pretty much all you needed to know about getting Sri Lankan tourist visa as an Indian national. Wish you happy backpacking over the Pearl of the Indian Ocean. If you still have any query you can always ping me. In my next article I'll pen down seven good reasons for Indian travellers to visit Sri Lanka. See you soon. I would love to visit Sri Lanka one day, especially during IND-SL cricket match. I guess visa on arrival makes it a bit easy, though for an additional price. We need more articles like this. It has taken me weeks to apply for some visas. Some visa application websites are so convoluted and not translated well. There are hundred more third party websites which charge heftily for such easy tourist visas. I'll definitely come up with more of these articles. I think back and if I was 40 years younger I would love to take off on a backpack trek to several areas but I'll stay with my road trips now. I really appreciate your efforts in exploring my poetry of roads. Thank You!